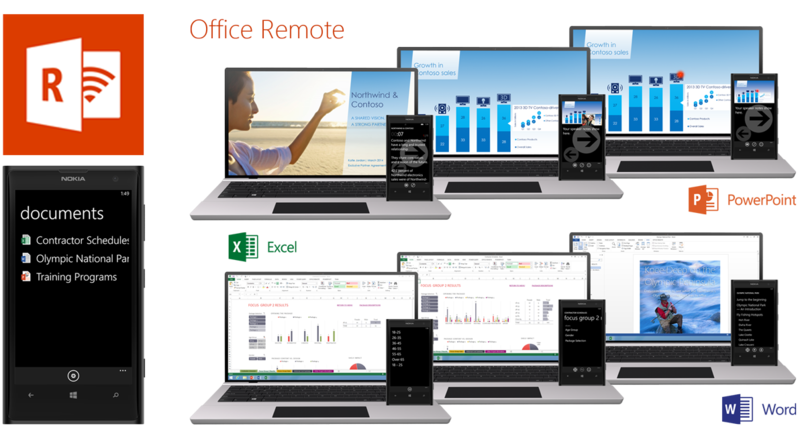 Office Remote turns your Windows Phone into a smart remote for Microsoft Office, providing convenient touch-based control of Word, Excel, and PowerPoint documents projected from your PC. It lets you show what you want, when you want, with all the freedom you need to walk around and connect with your audience. Office Remote is a Microsoft Research application developed in partnership with Microsoft Office. The goal of our ongoing collaboration is to create more natural and seamless interaction across multiple screens and devices, in ways that help people to create and communicate more effectively. We love all the great feedback you provided! In this update, your top requested new presentation features for PowerPoint made it in! We added a large thumbnail of the slide that is currently presented, as well as a smaller preview of your next slide. We managed to do this without impacting your notes. You now get an instant laser pointer by simply touching this new thumbnail with your finger. Play and pause your embedded videos directly from Office Remote. Releasing Office Remote as a research application is one of many ways in which we hope to gain a deeper understanding of real-world presentation practices. Try it out and let us know what you think. Your feedback is valuable to us, and we will use it to inform the design of new tools, technologies, and applications that have the potential to transform everyday productivity activities for the better. Open the Office documents you want to project, pick up your phone, and you are ready to present. Start your PowerPoint slideshow and navigate slides with ease. Large, easy to reach buttons give you direct access to the next and previous slides, while bringing up the list of slide thumbnails gives you fast access to any presentation slide without missing a beat. Stay on time and on-message with a glanceable timer, progress indicator, and speaker cues extracted from your slide notes. Want to highlight a key point? Simply activate the touch-based laser pointer for accurate, non-shaky pointing at a distance. 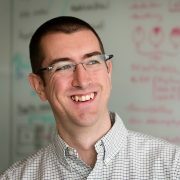 Want to share data? Jump into Excel spreadsheets and hop between sheets and graphs. Wow your audience by controlling complex data slicers from the palm of your hand, bringing your argument to life. How about more details? Smoothly switch to Word documents, scrolling freely or jumping directly to specific sections or comments.